Sharon Cameron is co-developer of The Cameron Method Response Therapy, bringing a breakthrough that increases and enables personal control of your own life. You can release stress, promote health, create the best personal relationships and remove blocks to increased ability and performance. She developed the first private consulting practice in Atlanta, Georgia, then in San Jose, California. She has also professionally trained therapists and personal coaches in its use. She is author of the book on The Releasing Strategy of the Cameron Method, Designing Your Heart's Desire: The Releasing Strategy for Personal Power and Peace of Mind (Watershed Books, 1995, 1997). 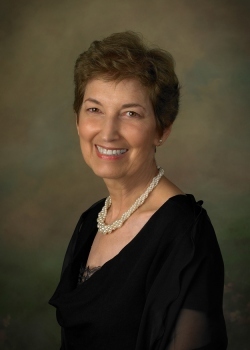 She is a Registered Hypnotherapist and together with her husband and colleague Dr. Clark Cameron, now deceased, she translated The Cameron Method into CompuMind™ interactive software. Sharon has an unusual ability to relate empathetically with a client, no matter where they are, allowing her to help in the most supportive way, to what they want to achieve. Her passion and mission is to help people free themselves from the inner holdbacks they may unknowingly have that create unnecessary limits to their happiness and the ability to have the life they desire. Her goal is to make this Method widely available--effectively helping people to be their own best therapist and success coach. She has taken some time away from her work since her husband Clark Cameron passed away in 2004, but is now back to provide private consulting, speaking, workshops, and seminars and to bring out the new version of Compumind. Sharon introduced The Cameron Method and The Releasing Strategy to the field of hypnotherapy, speaking at the American Institute of Hypnotherapy convention, 1997 in Newport Beach CA. She has participated in numerous radio and television shows about The Cameron Method, and has led workshops and seminars for corporations, non-profits, churches, and other groups on Stress Release, Success, Permanent Weight Loss, and Selling. Other titles of her workshops are Creating What You Intend, Finding and Keeping the Relationship You Want, Becoming Totally Fearless, Finding Your Authentic Self, and The Secret:The Missing Ingredient. She is an inveterate researcher of the mind and Spirit, and will go to any depth to find and remove the blocks keeping a client from creating a happy, fulfilling, and peaceful life. In recent years, she has focused on the dynamics of creating community in the micro and macrocosm of life and mind. She has come to see that deep happiness and contentment involves building those connections. She has also been studying metaphor and its impact on communication to further enrich her work with clients. Ms. Cameron has had a long involvement with church, community and volunteer organizations often serving on their boards. She gained her original academic training in psychology at the University of Colorado. She also graduated from Monticello Women's College, Alton, Ill.